We work hard every day to make business better for dealerships, and happy customers make us happy. Read on for the latest dealer marketing success story. When I came back here 3 years ago and took over the store, they already had XtreamService and I was a big fan. It generates a lot of action for us and helps us retain our customer base. In one of our biggest months with XtreamService, we closed 26 deals. Whether it’s 10, 12, 15 deals on average – it’s just a helpful tool. We’re more informed this way, instead of hustling for sales in the service drive. In the past, the Service Department didn't want you back there messing with their customers. It was frowned upon because they wanted to sell the service. Now it's a way of life. Thanks to the internet, you have less floor traffic and the more times you can touch the customer while they are there, the better. If you’re not working your service drive, while the customers are in there, you’re behind the times and missing a lot of business. 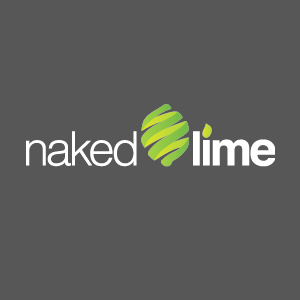 We wouldn’t consider using anything but XtreamService, and we’ve even expanded our other services with Naked Lime. It’s the dependability – I get a call every single week. The service is great. I pick up the phone and don't have to play phone tag. If I have a question they answer it. On an average Monday I was spending four hours on the phone with vendors about what we should be doing. I eliminated two vendors by going with Naked Lime Marketing. Having those four hours back is priceless. To boost your sales from the service drive, or get expert help with any of your other dealership marketing dilemmas, call 855.NKD.LIME or email info@nakedlime.com.